Recently, we had the pleasure of joining family who had rented a vacation home in beautiful Tucson, AZ for a long weekend. 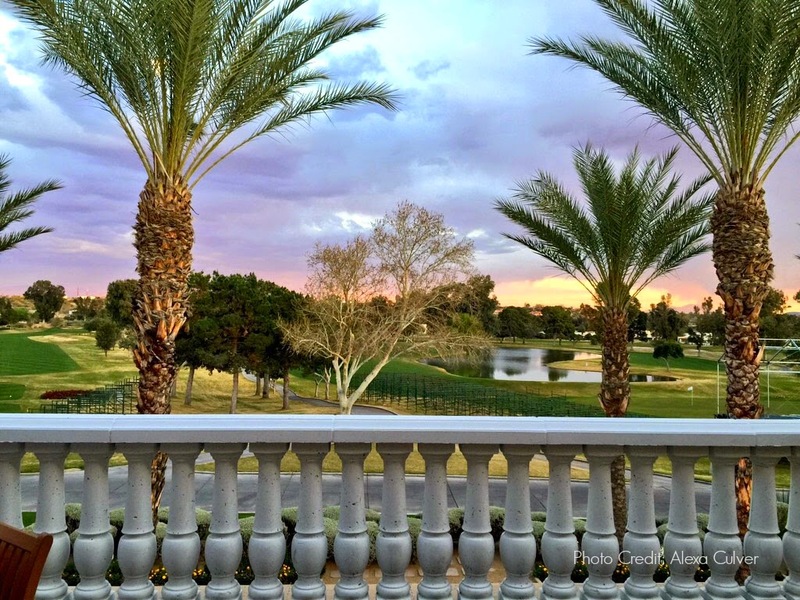 We enjoyed some amazing sunset meals out at the local Bob's Steak and Chop House overlooking Tucson National Golf Course. And then I quickly made it again as soon as we returned home - yum! It was super easy and quick to make. 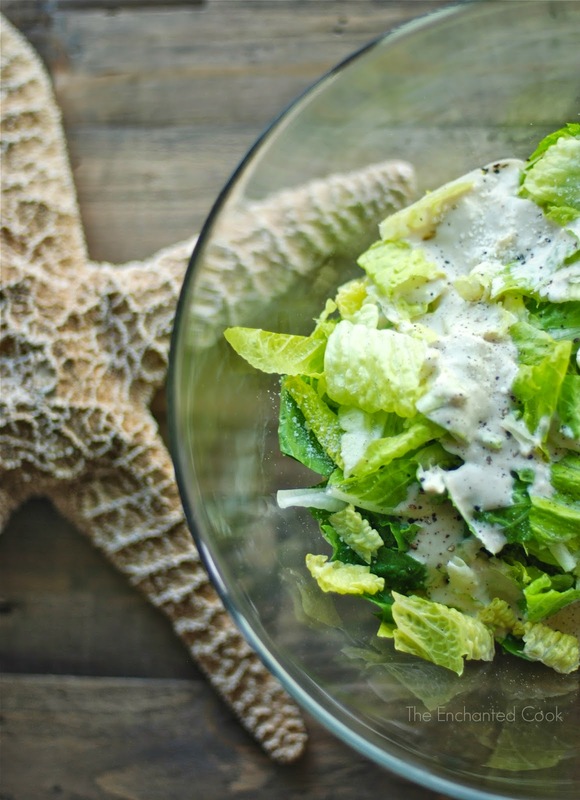 Just throw a few ingredients in a bowl, stir and toss with romaine. 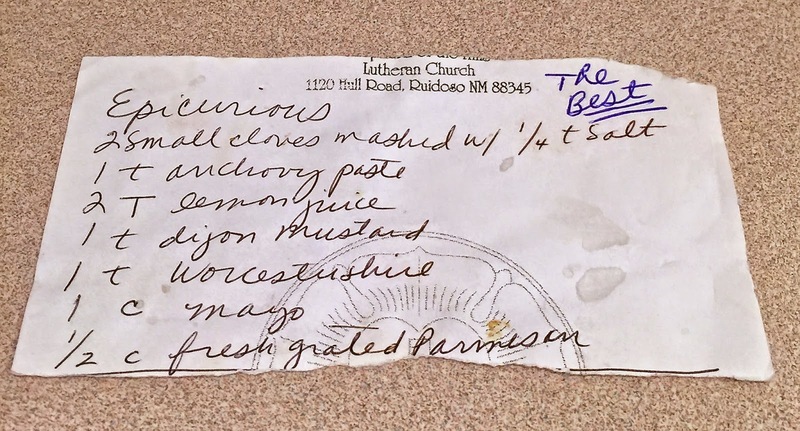 I halved her recipe and it was plenty to dress a large salad for 3-4 people as a side. 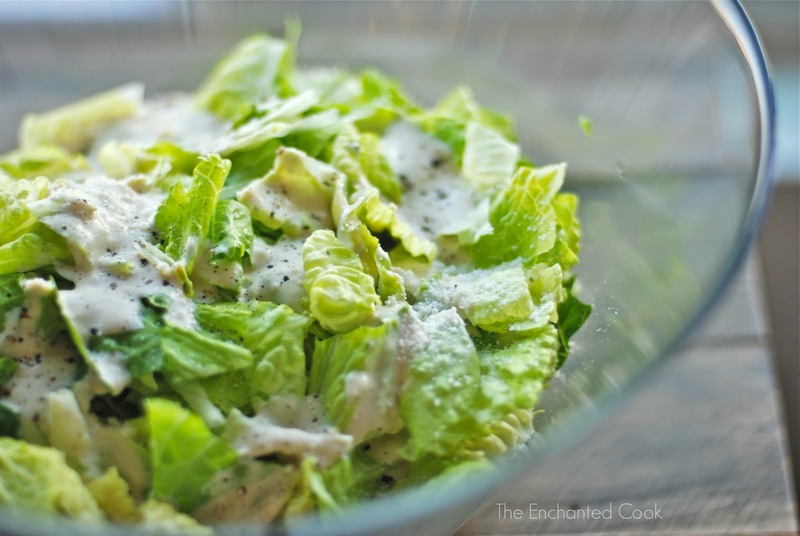 In a medium mixing bowl add all ingredients except lettuce, salt and pepper, and mix with a fork until blended. 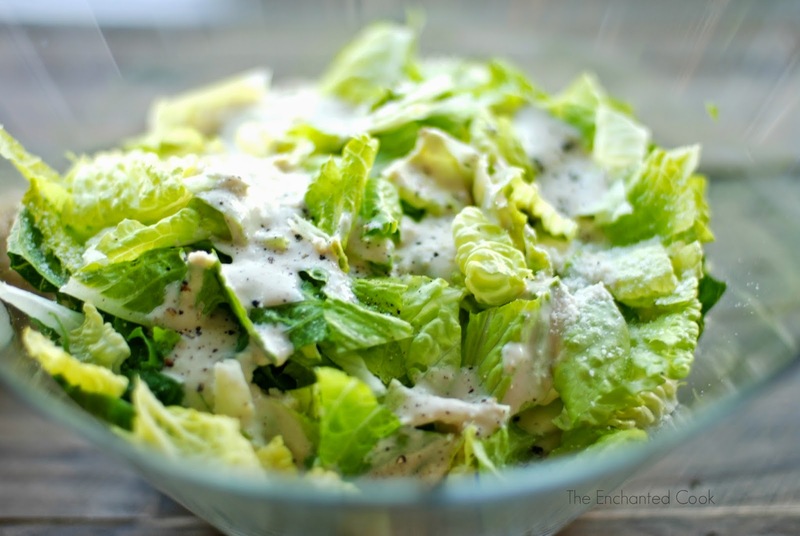 Toss with lettuce and add salt and pepper to taste. Garnish with a sprinkling, or a few shaves, of Parmigiano Reggiano if desired. 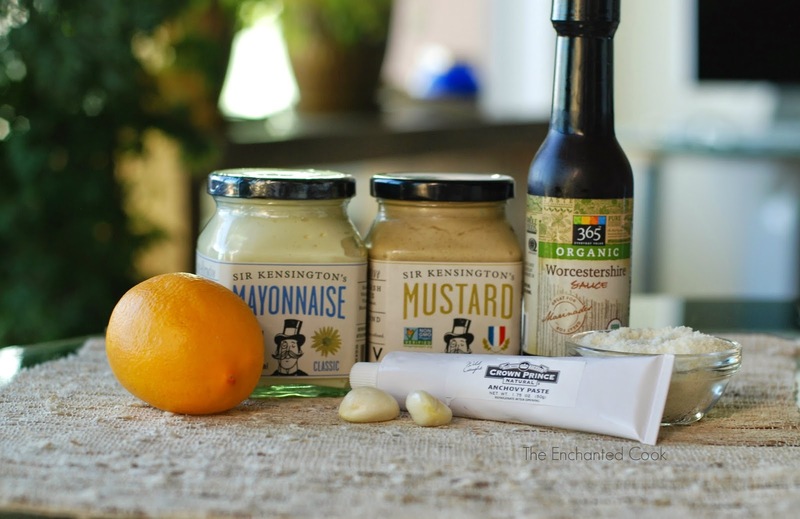 Note: For a Paleo-friendly version, you can make your own Paleo mayo or do as I did and use Sir Kensington's Mayo. All rights reserved Veronica Culver, The Enchanted Cook. Picture Window theme. Theme images by merrymoonmary. Powered by Blogger.